Sticker of ornaments to decorate the dinning room for the Christmas meal! 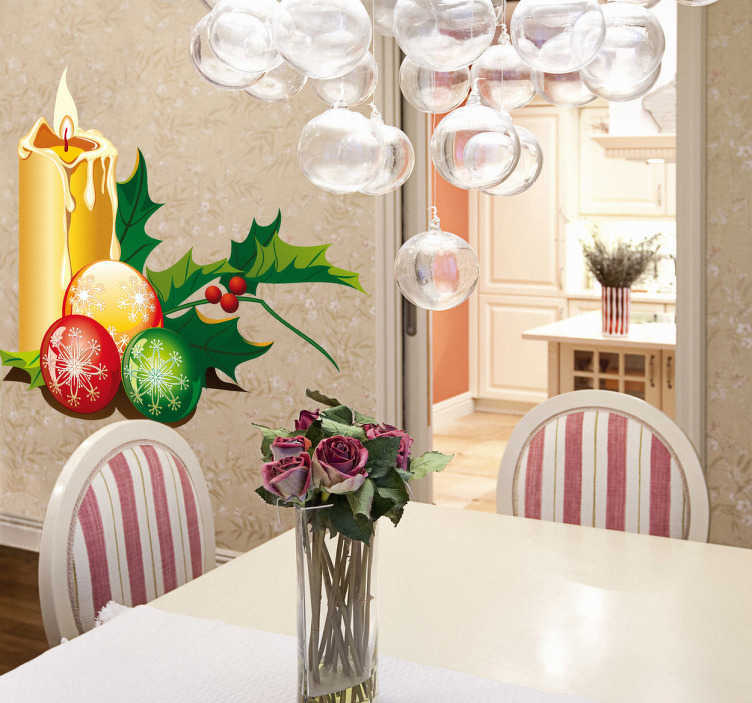 Colourful decal to decorate your home during the Christmas season. Looking for stickers to decorate your home during Christmas? Make your home the perfect place to be at this Christmas with this fantastic decal to place anywhere at home. Surprise your family and friends! They will love it! This high quality sticker is very easy to apply and remove made with anti-bubble vinyl.